Fight crime with the Teenage Mutant Ninja Turtles Leonardo Bandana Sun-Staches! 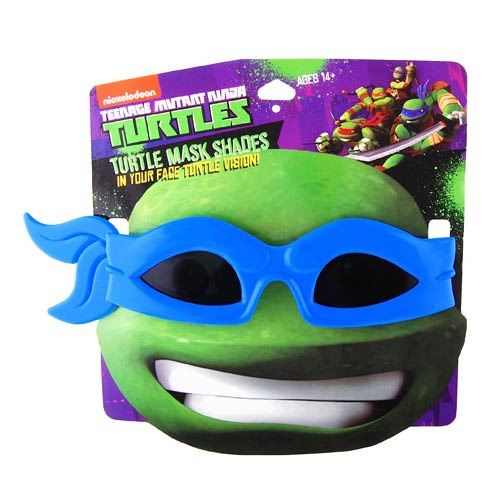 Transform into a crime fighting turtle with these awesome glasses that feature Leo's signature bandana. Eat pizza and save the city with these Teenage Mutant Ninja Turtles Leonardo Bandana Sun-Staches! One size fits most and all Sun-Staches provide 100% UV400 protection. Ages 14 and up.